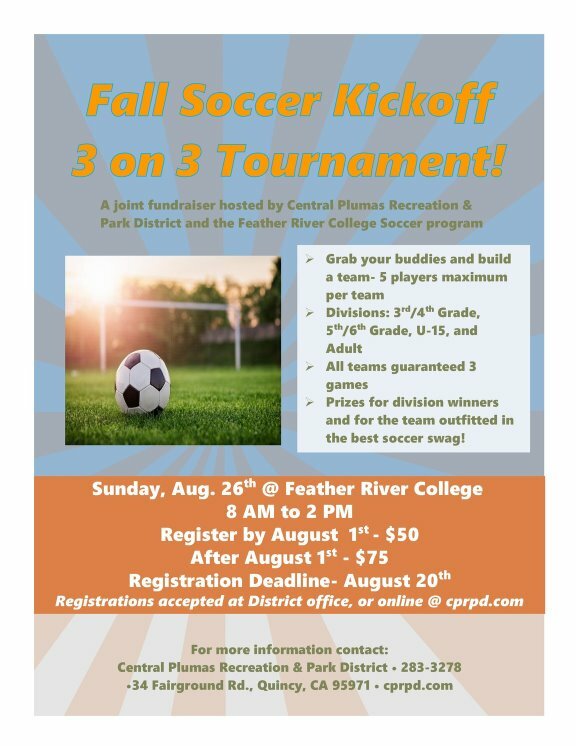 Central Plumas Recreation and Park District - 3 on 3 Soccer Tournament! 3 on 3 Soccer Tournament! This year we are going to kick our fall soccer season off with a bang! Grab a few friends, form a team, and compete in our 3 on 3 Soccer Tournament @ Feather River College. This is a going to be a fun-filled, action-packed event! Don't miss out!